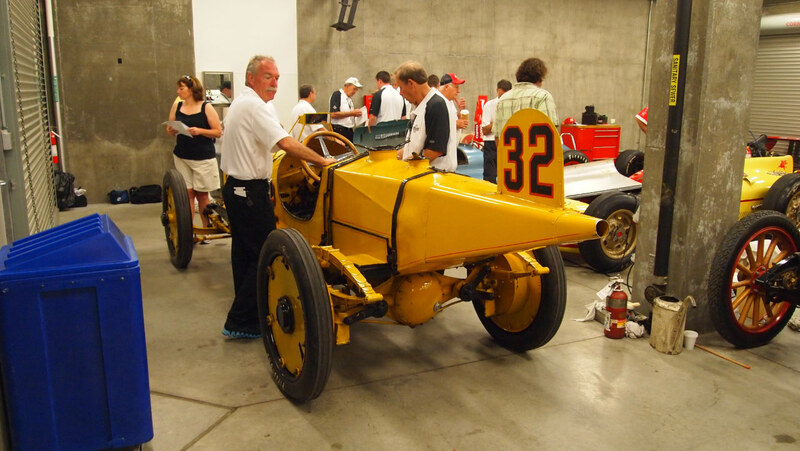 The famed six-cylinder, single-eat, streamlined Marmon "Wasp" won the very first Indianapolis 500 in 1911, driven by Ray Harroun and relief man Cyrus Patschke. It was designed and built by the engineering department of the Indianapolis-based Nordyke & Marmon passenger-car firm. In response to complaints during practice that he was a potential safety hazard by not carrying a riding mechanic, driver/engineer Harroun rigged up, above the cowling, what is believed to have been the very first rearview mirror ever used on an automobile. This 46-second video shows the return of the 1911 Marmon to the Indy 500 track as part of the 2011 Indy 500 pre-race ceremonies. It was only the third time this historic car was driven on the IMS oval on race day since it won in 1911. The car was driven into position by AJ, a chief mechanic for the Indy Hall of Fame Museum. 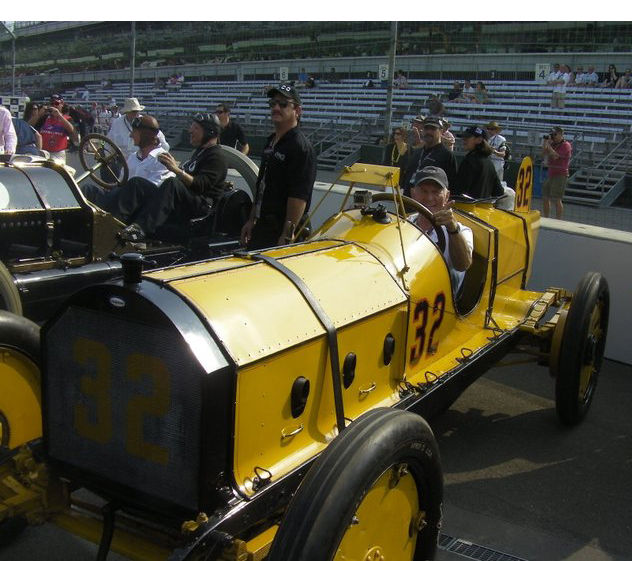 The Marmon was driven by Parnelli Jones during the the first and second parade laps of the 2011 Indy 500 pre-race ceremonies.